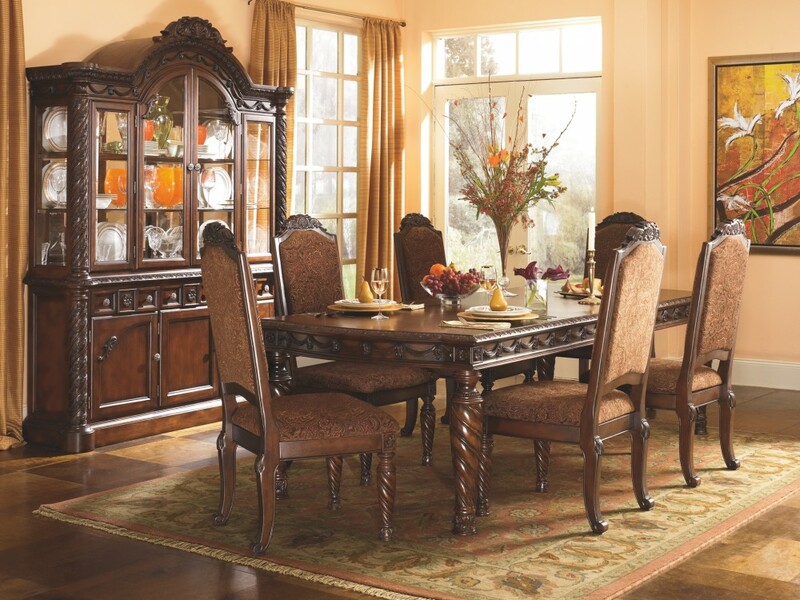 Inspired by the grandeur and grace of Old World traditional style, this elegant china set is nothing short of stunning. 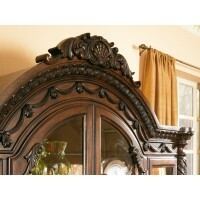 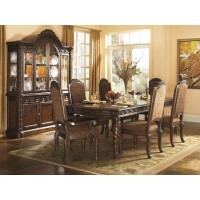 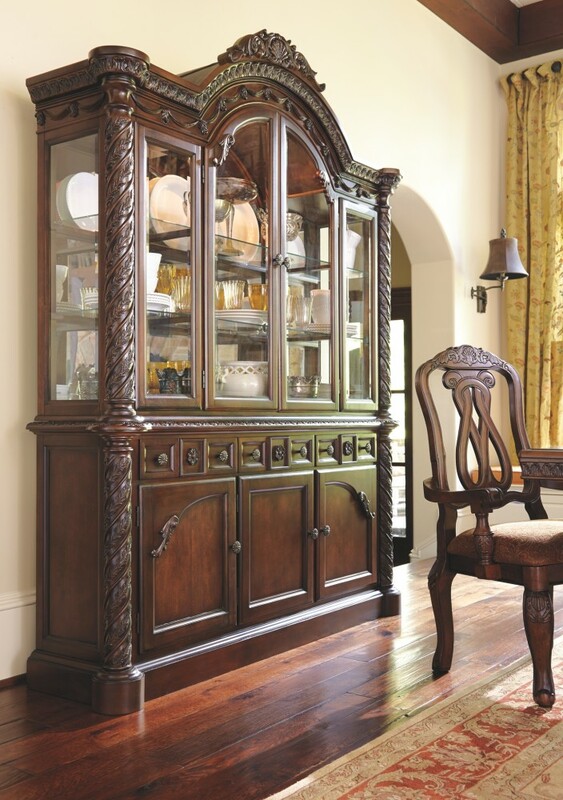 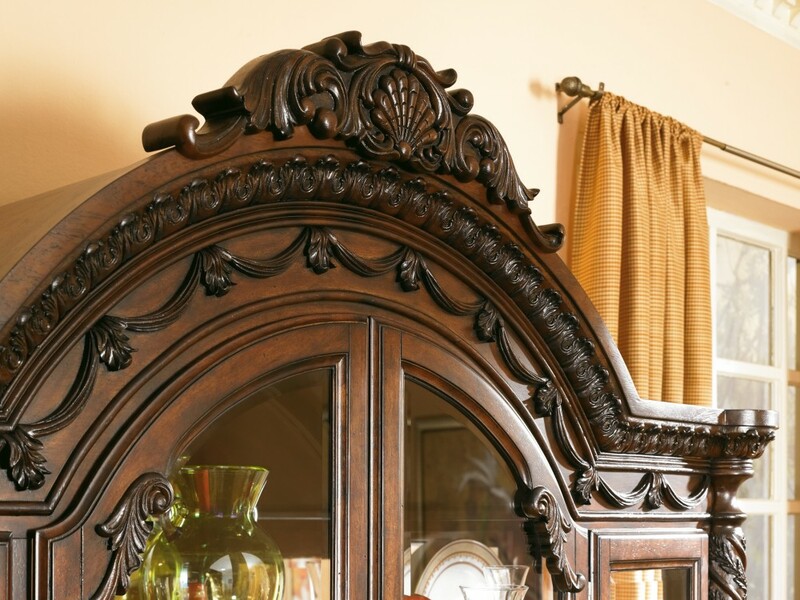 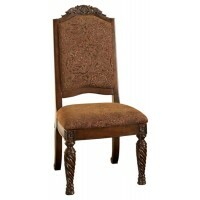 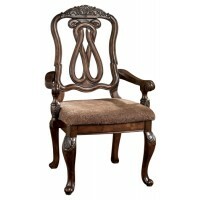 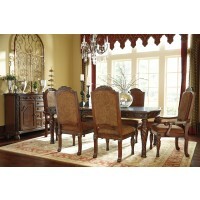 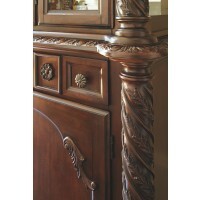 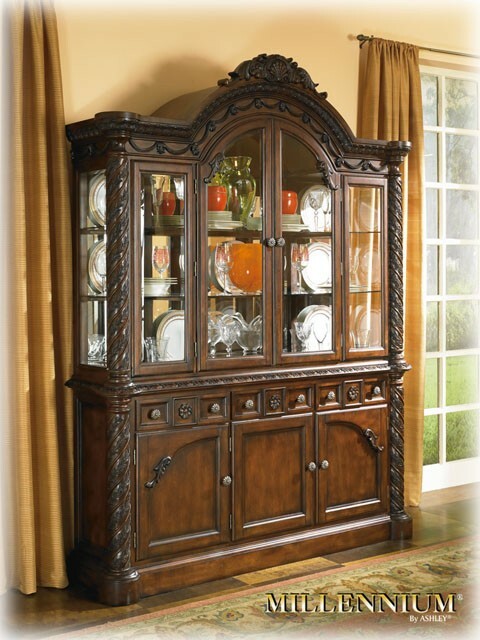 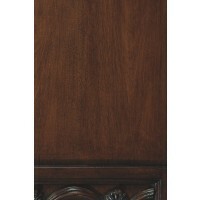 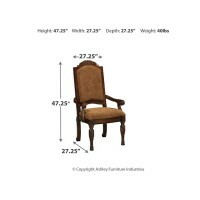 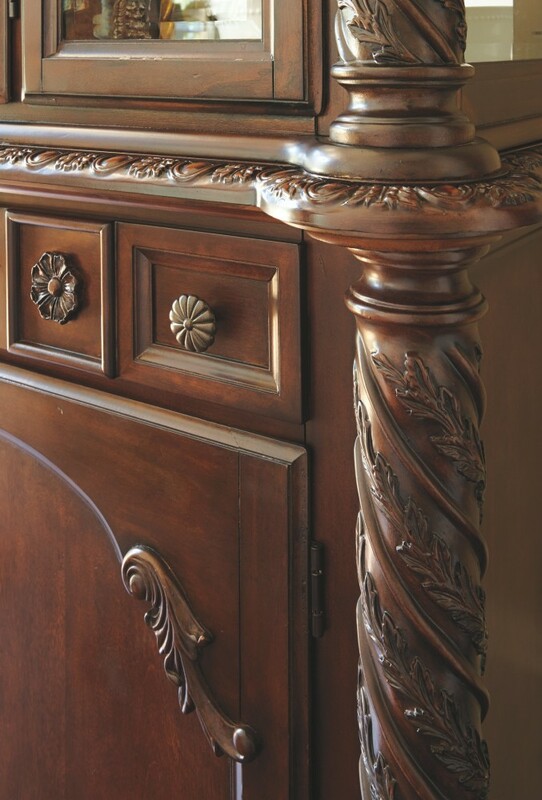 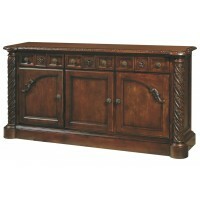 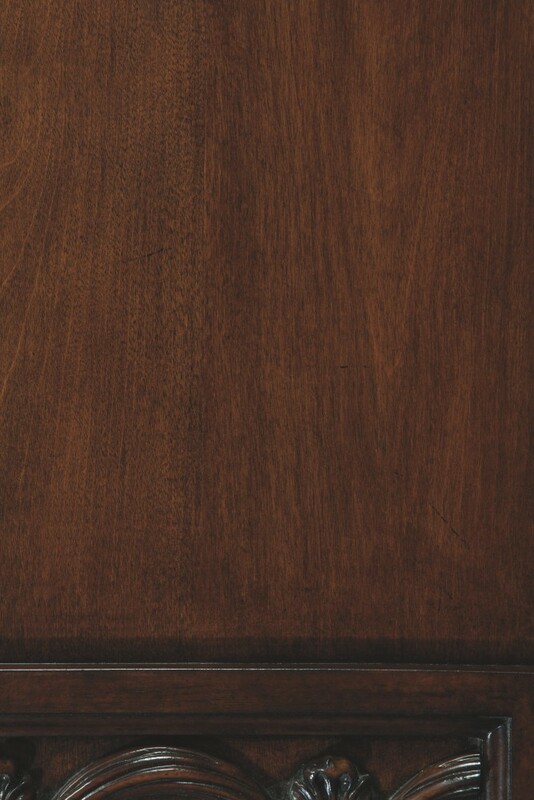 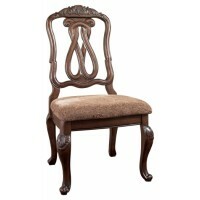 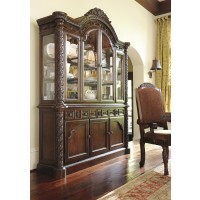 A choice blend of materials is accented by the most intricate carvings and appliques. 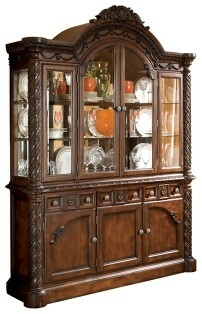 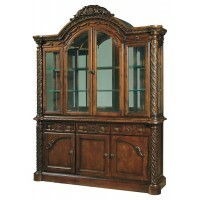 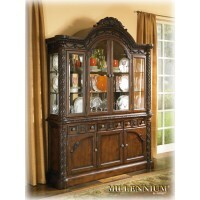 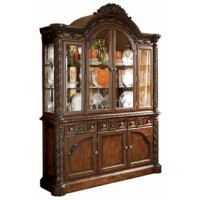 Designed for modern convenience, the illuminated hutch with mirrored back and glass shelves makes for gorgeous displays.